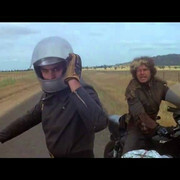 The point is that Hopper was a decent enough actor to convince everyone he was a motorbiker . When the Art of the Motorcycle was in NYC Hopper took some riding lessons so he could ride with a group of actors to the museum . Memory says he may have crashed . sometimes lightweight, still enjoyable. The enthusiasm is infectious. Bonus!! 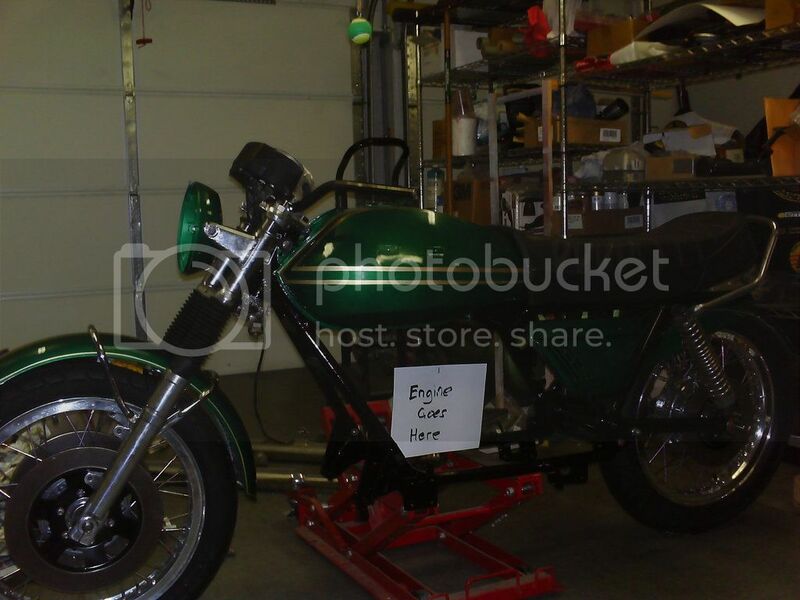 Bike rebuilds contain no rattle-can black paint jobs, bobbed fenders or pipe wrap! Yay! He didn't crash, the guy in the pick up shot him. I was referring to an incident circa 2004 , not from the movie . A small group of celebrities were going to the Guggenheim exhibit , for some reason the name Lauren Hutton keeps popping into my head . Anyway , seem to remember Hopper had a get off . .
"V Four Victory." (1983) Joey Dunlop riding the Isle of Man flat out. That's entertainment. Here's a few independent bike themed films I have got in on the "kick start" financing. Low budget, niche films. "Girl Meets Bike." (Guzzi content) https://www.youtube.com/watch?v=DkrexqIKmMs Made by film students in Minnesota. No they ain't gonna win any awards, but I like 'em. 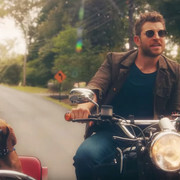 I posted a video from Brett Eldridge and his dog Edgar, in a sidecar earlier. I liked the riding scenes in "Girl with the red dragon tattoo. 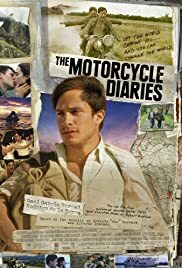 Ok, no one else bit, what is the best motorcycle movie if this is the second best????? If you like vintage motorcycle racing, Isle of Man TT 1935, try to find "No Limit", with George Formby. I have a copy, but I was surprised to see it on TCM last month. Also, "Twice Upon a Caravan", the around the world story of Robert Fulton, Jr on a Douglas around 1932. Lastly, "The Pace that Thrills" from 1952, scrambles, TT, hillclimbs and the Wall of Death, with Bill Williams, Robert Armstrong and John Hamilton. Nice looking bike. Would love to see a photo of it without the rider blocking the view of some of the bike. Thought you might like to see the result. I asked the same question across about ten bike related forums and FB pages and got hundreds of replies, so thank you to everyone who took the time to respond. It’s all a bit of fun so don’t take it too seriously!  BTW, how many have you already watched (me 17)? Why is it that ugly girls resort to tattoos, piercings, and funky hair coloring in an effort to accentuate their ugliness? That trailer makes motorcyclists look trashy and slutty. And no matter how pretty they are, attitude makes a difference. But both men and women both go for the "bad" ones. Then complain about it later. Yep , fact is I think she is kinda cute . Ann Margret from the movie "The Prophet". Yeah, she does her own riding in the movie. Dialogue: "Oh..I need gas. Do you have 1000 lira?" Prophet replies: "No. I left my wallet at home ...5 years ago." ...for the price of five gallons worth of gas!! I watched the Cycles South today. Was that a for real life filmed adventure or a planed rehearsed movie with actors? A bit of both probably , seems the 3 guys were friends , and some of it was spontaneous , but parts of it were certainly scripted and maybe even rehearsed . It is just a fun , slightly silly romp . And she is riding a Moto Guzzi !! Yeah, I seem to remember Hutton (a real rider) having a pretty serious accident. Don't recall if it was connected with Guggenheim exhibit. Amazing what you can find on the internet. You no longer have to rely on your recall.